Blends With: Basil, Cajeput, Cedarwood, Citronella, Ginger, Lavender,Lemon, Myrtle, Frankincense, Spearmint and Tea Tree. Contraindications: Possible sensitivity in some individuals. Direct inhalation can activate gag reflex. Use with caution. DO NOT take internally. It is toxic if taken this way. This is the strongest Eucalyptus and is NOT recommended for babies, children, or the elderly or pets. Use Eucalyptus radiata for them instead as it is much safer. While some of Mudfarm Organix Botanicals essential oils are medical food grade, we do not advise the use of essential oils for internal use unless they are prescribed by your health care provider and certified aromatherapist. Only your health care provider and certified aromatherapist can prescribe the proper dosage and usage. Please check with your health care professional and certified aromatherapist before ingesting any essential oils. 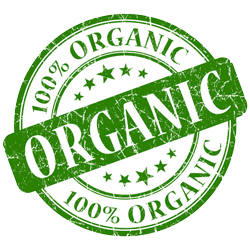 Mudfarm Organix Botanicals products have not been tested or evaluated by the FDA. Mudfarm Organix Botanicals is a very reliable source for Essential Oils. Excellent service - and very fair prices. I especially like their larger size (500ml) of Lemongrass.. I use it (with some other EO's) to make many bottles of Bug Spray for friends, etc. A great repellent for mosquitoes! Rub it on your chest and inhale it and use it in the vaporizer for amazing results. Colds and Sniffs are gone. I am using this now for 6 months and its amazing. I am also rinsing my mouth with this and peppermint and its so fresh. The quality of oil is of the highest and purest that i have tried and most of mudfarm stuff is pretty amazing for price and quality and you can''t beat they giving free shipping.. I love this oil! Has a good strong scent that is pleasant to the nose. When diluted, it is great for insect bites, nasal congestion, mental exhaustion and many more great benefits! I highly recommend this brand I purchased this oil to burn in my wax melter burner. In the wintertime when congestion and colds set in this stuff is invaluable. Eucalyptus is great for congestion. It works wonders. I am using this Oil everyday and I want to list some of the main uses I found online if this helps anyone. Thanks and I will purchase again. Very nice quality Shea Butter as well for dry skin in winter here in Toronto. Eucalyptus essential oil is highly effective for treating respiratory problems, such as asthma, bronchitis, COPD, pneumonia and even tuberculosis. Using eucalyptus for asthma is a proven treatment that dilates the blood vessels and allows more oxygen into the lungs. Simply mix eucalyptus oil, peppermint oil and coconut oil for a Homemade Vapor Rub, and put on upper chest. Click the button below to add the Eucalyptus Essential Oil (ORGANIC) to your wish list.